Learn it in 30 seconds, enjoy it anywhere! This highly strategic, chess-inspired game challenges you to compete in all 3 dimensions. 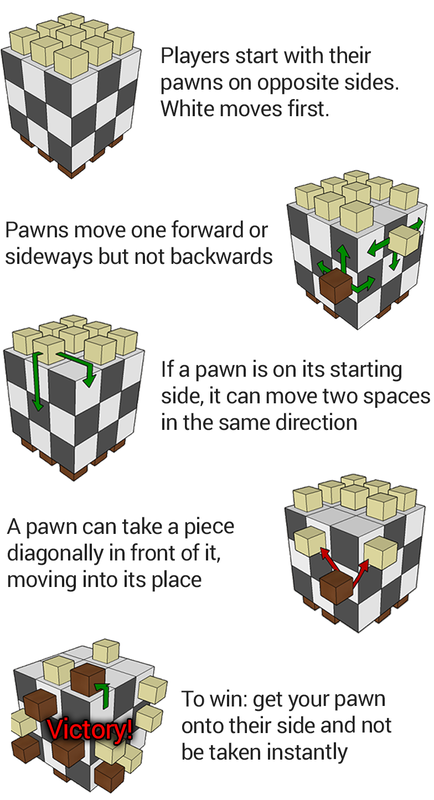 3D Pawn is a 3‑dimentional abstract strategy game played on the surface of a cube with just pawns. 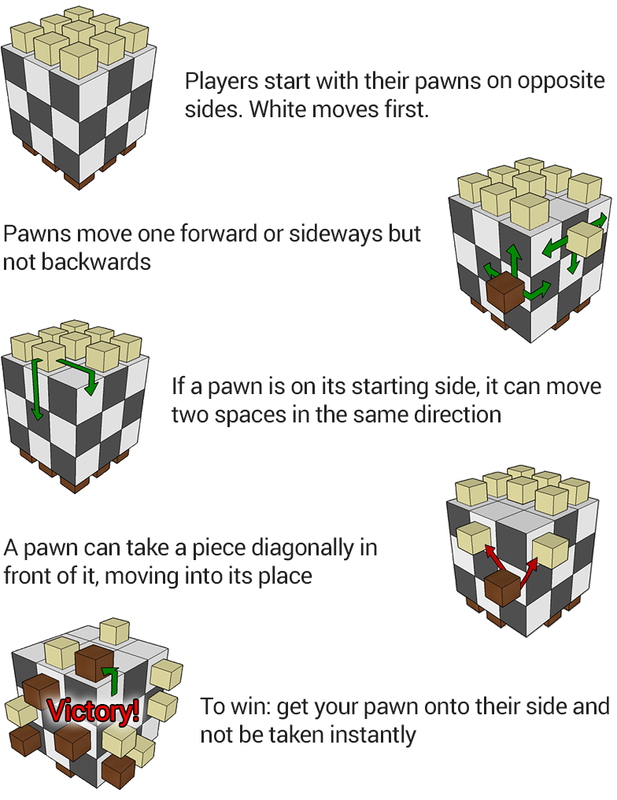 Players start with their nine pawns on opposite sides of the cube and take turns moving their pieces according to 5 simple rules. The aim is to get one pawn to the opponents side. 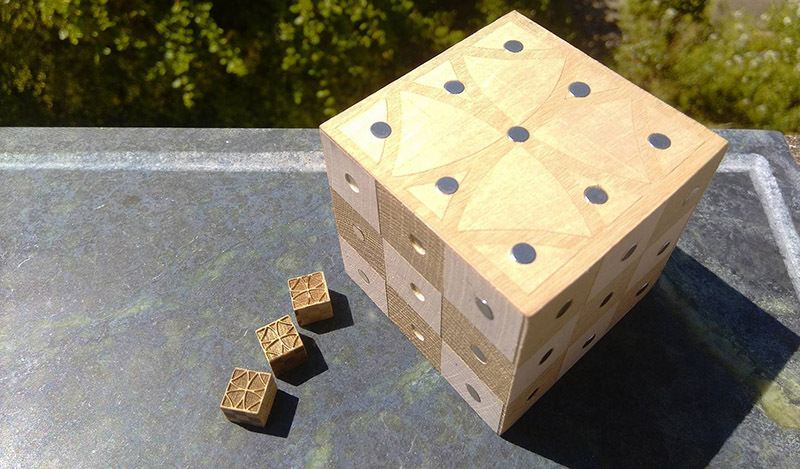 Since Kickstarter, we've made significant improvements to the design. 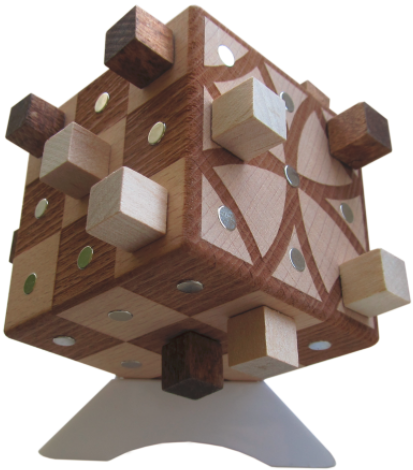 Each cube is handmade from hard beechwood and marked with a modern laser‑engraving technology. 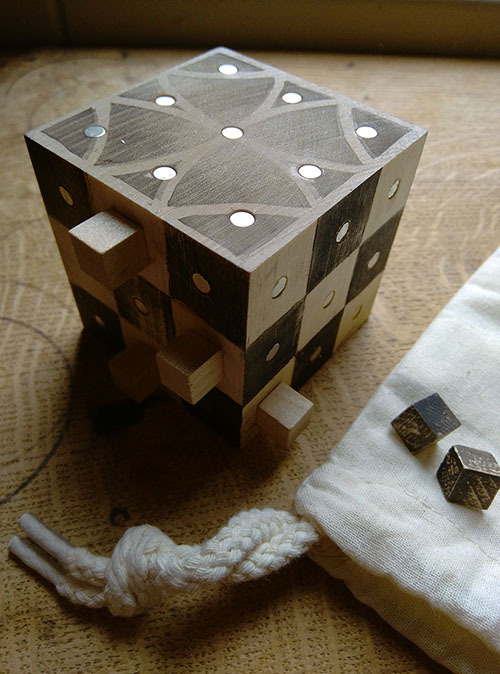 Super-strong magnets hold all the pieces on, which makes 3D Pawn very portable and suitable for journeys. The game comes in a luxury velvet bag with a stand and is a great display piece too. 3D Pawn is super simple and easy to learn but can be played to a very high level. A game takes 10‑20 minutes depending on the skill level. The basic version can be extended by adding the Checkmate Expansion involving kings and queens, which can be particularly interesting for chess players. Did you know you need two queens checkmate your opponent's king on a cube? For examples and clarifications, go to the rules page. See also the checkmate expansion rules.